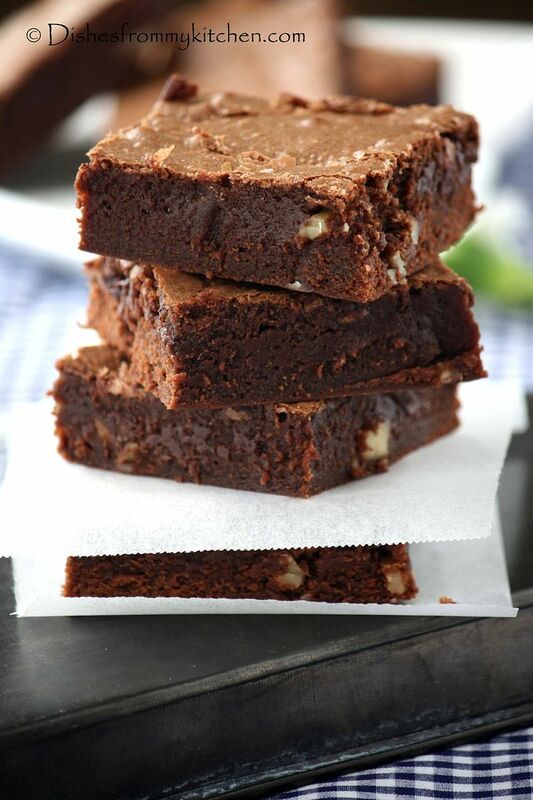 Dishesfrommykitchen: FUDGY CHOCOLATEYYYYY WALNUT BROWNIES !!! 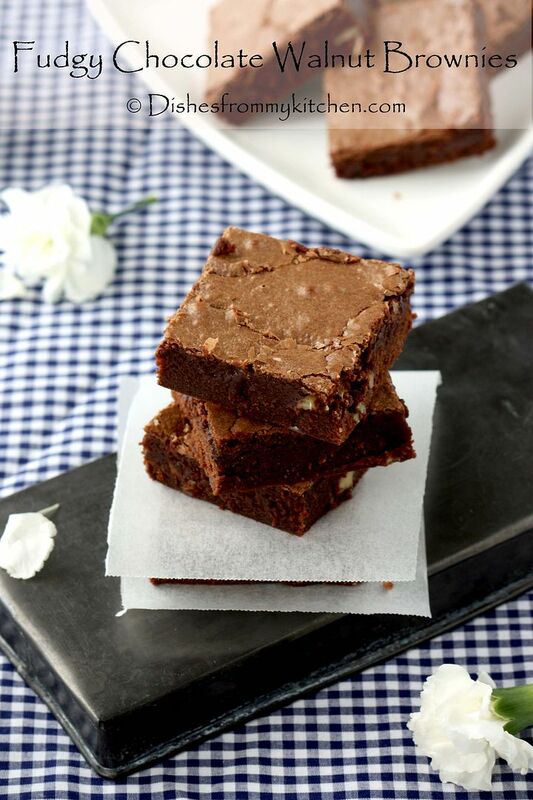 FUDGY CHOCOLATEYYYYY WALNUT BROWNIES !!! This post was lying in my draft for so long period... must say it’s been a year ago I took this picture. When I was clearing the picture folders, I happened to see this one and few other pictures which I will post in the following week. 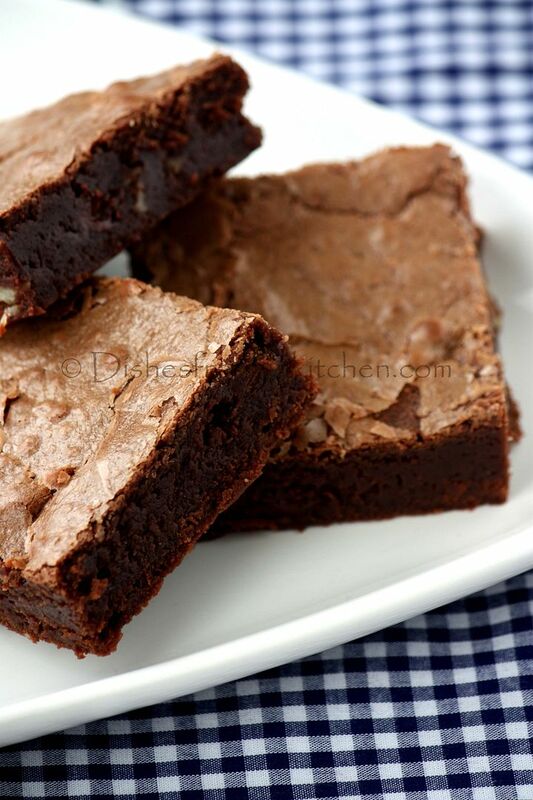 Coming to the recipe, I have few go to recipes for brownies and this is the one of them. 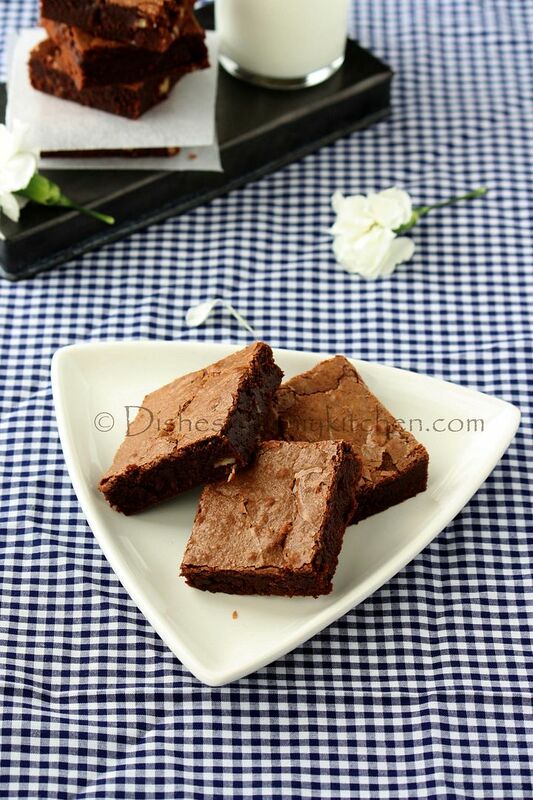 If you want a fudgy brownie then here is quick post for you guys... Enjoy!!! 2. Grease and dust a 9 inch or 8 inch square baking pan. 3. Melt butter and chocolate together in double boiler. 4. Now stir in cocoa powder until dissolved. 5. Whisk together sugar, eggs, vanilla and salt in a bowl. 6. Now whisk egg mixture into chocolate mixture. Do not over whisk. 7. Add the flour and whisk until they are nicely incorporated. Add the walnuts. 6. Pour brownie batter into prepared pan and bake for 30 - 40 minutes, or until a toothpick inserted into the middle of the pan come out barely clean. Cool. 1. Do not over whisk or mix the batter, mix until they are nicely incorporated. can i make this eggless? 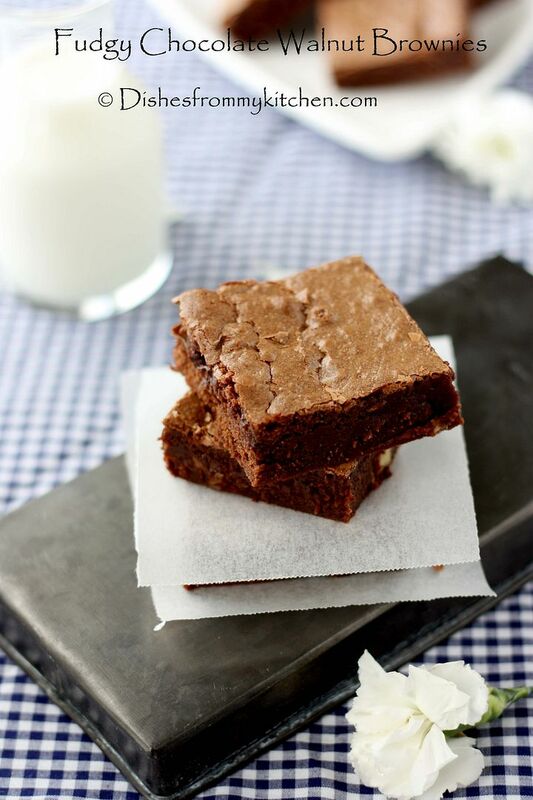 I've never met a brownie recipe I didn't like--and this one looks wonderful! Pavi, Can you tell me equivalent amount of oil to be used of butter? 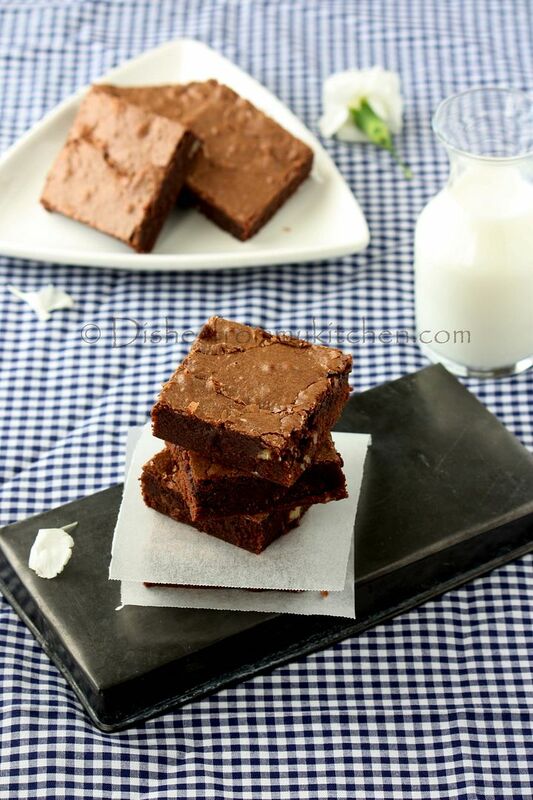 Hello ma'am can u tell me the exact gram weight of the butter..
Wow, even I made very similar fudgy Brownies last week for some friends to snack on on their long drive :-) I used the recipe commonly known as Katherine hepburn brownies, these also look similar except for the ratio of ingrdients. 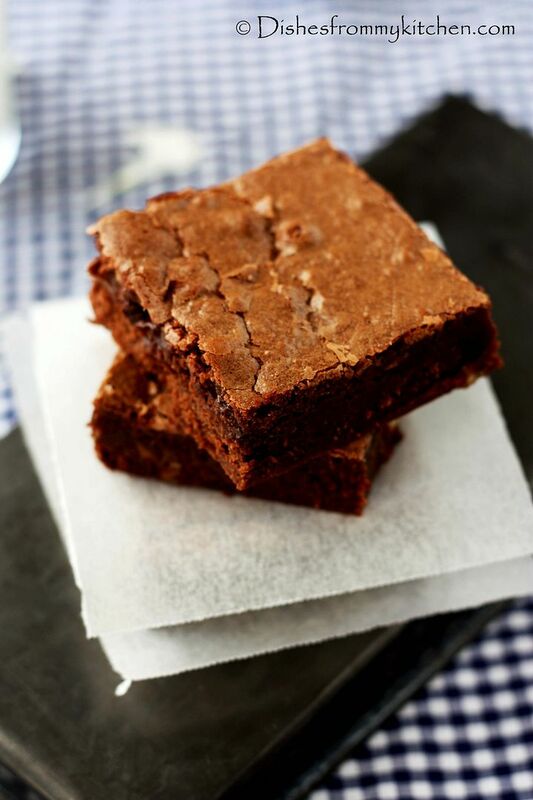 I love Fudgy brownies than the cake-y kinds. Lovely snaps as always, pavithra! 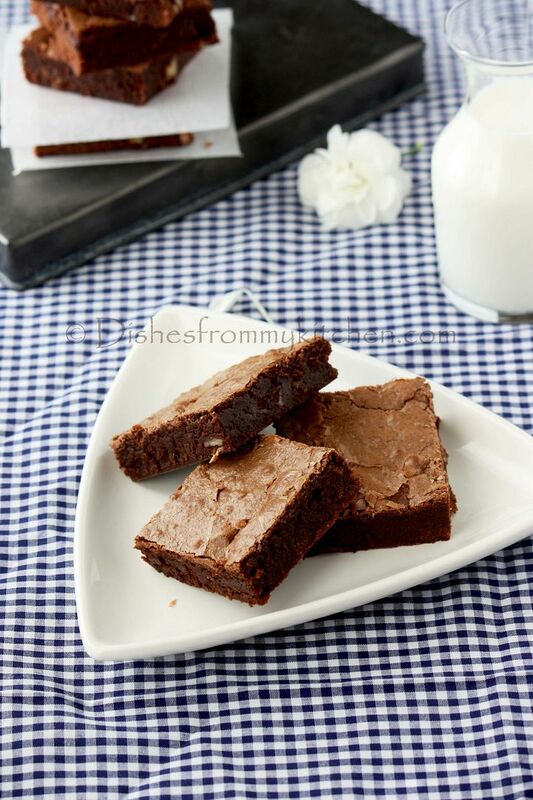 Very richly and fudge brownies !